Last year's winner played 24 artifacts maindeck, and it's not uncommon for the control decks to play 1/3 or more of the cards in their decks as artifacts. Facing a couple of Moxen and a Sol Ring, this is a 4/4 for 3, and it grows with your opponent's mishras as well. The fact that it's immune to City in a Bottle, and many times can play around lightning bolt, may make this guy fairly playable. The issue is of course that your opponent needs board presence to make him big, but as long as those artifacts are mostly mana I think this guy could make the cut. The invitation list is then in falling order, so if anyone can't join, #9 in the standings will be able to take his spot, and so on. As is customary with invitational tournaments, we will shake up the odds a little by playing the format in an unusal way. After long considerations about how to play the invitational, we ended up with classic 93/94; but with Fallen Empires as a legal 8th set. Will Hymn to Tourach give the black decks the final push, will Goblin Grenade make sligh viable, and would River Merfolk put monoblue at top as a new tempodeck? 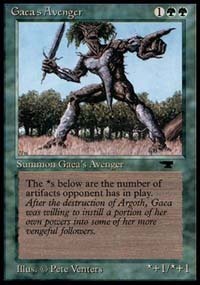 Easter is coming up, and with that the world championship in Old School mtg! 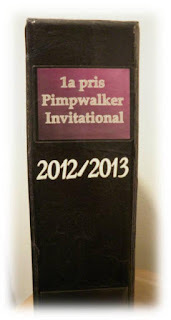 It's a gathering of beer, good friends and awesome magic, and it's the most prestigious tournament in the format. Last year 34 players gathered to cast turn 1 Juzams and tap Howling Mines with Relic Barriers, and anyone who's got a deck should appreciate this competition! 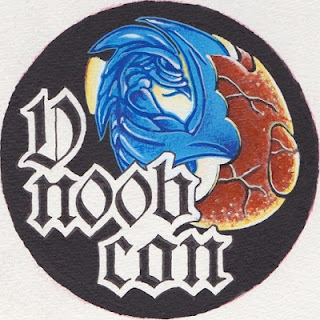 What: n00bcon, aka the World Championships in 93/94 magic. This is the fifth n00bcon, and it's traditionally held during Gothcon (Sweden's best gaming convention), adjacent to the main convention site. The first ever tournament in 93/94 was held at the Gothcon site in 2008, since 2009 we've used an adjacent pub as tournament location.